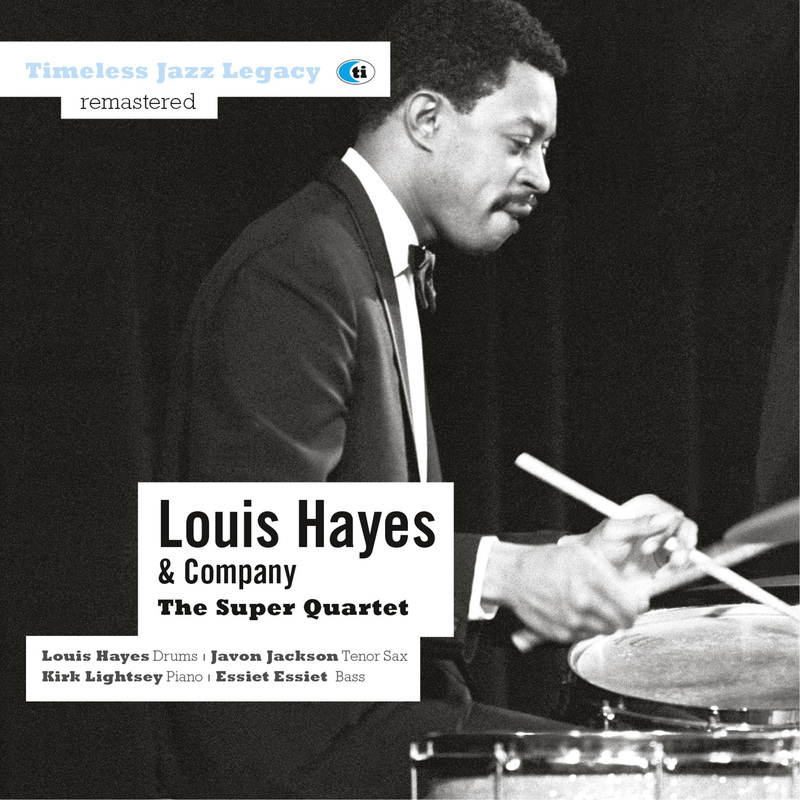 For this high quality hard bop set, veteran drummer Louis Hayes put together an accurately titled “super quartet” that features tenor-saxophonist Javon Jackson, pianist Kirk Lightsey and bassist Essiet Essiet. The music, which is comprised of seven jazz standards plus a tenor/drums on a blues called “Blue Lou” (not the swing standard), is spontaneous, full of energy, and superbly played. Louis Hayes has a long history including major stints with the Horace Silver Quintet (1956-59), the Cannonball Adderley Quintet (1959-65) and the Oscar Peterson Trio (1965-67) in addition to spending three years as a member of the McCoy Tyner Trio. In addition to his freelance work during the past 45 years, he has often led his own all-star groups including notable quintets that he co-led with Junior Cook and Woody Shaw. Like Art Blakey, Hayes on this set inspires the musicians to play at their best with his own powerful accompaniment. Javon Jackson sometimes hints at Joe Henderson or John Coltrane but mostly displays his own sound and style within the realm of advanced hard bop. Kirk Lightsey offers stimulating solos and backing while Essiet Essiet is excellent in support of the lead voices. On a repertoire worthy of the Jazz Messengers (of which Jackson and Essiet were members) that includes Cedar Walton’s “Bolivia,” Freddie Hubbard’s “Up Jumped Spring,” Thelonious Monk’s “Episrophy” and Wayne Shorter’s “Fee-Fi-Fo-Fum,” these four masterful musicians play at their best. The Super Quartet is easily recommended to fans of modern straight ahead jazz.